During Super Bowl weekend, the cable channels and networks seem to dig pretty deep into their archives to broadcast every last clip, highlight, film and rerun that had anything remotely to do with football and the big game. I admit, I indulged in watching a lot of the coverage and was pleased to see a re-playing of the famous 1970s Coca-Cola ad with the Steelers’ “Mean” Joe Greene. Limping off the field after an apparent injury, a boy asks Joe if he needs any help. Joe says no, but the young fan is determined to do something to help his hero – so he gives him his bottle of Coke. The rest is history: Joe tosses the kid his game jersey, making the boy one of the most envied television characters of the decade (at least in Pittsburgh). Watching that commercial again reminded me that oftentimes, help comes from a place where we least expect it. At Family Hospice and Palliative Care, we are fortunate to see this type of scenario play out on a regular basis. Fulfilling the mission of compassionate care is a team effort. A Latino patient was recently admitted to our Center for Compassionate Care inpatient unit in Mt. Lebanon, and the patient’s family spoke only Spanish. Obviously, it was a priority to establish communication with the family as soon as possible. Not having enough time to bring in one of our volunteers who provides interpretation, it was, of all things, the Family Hospice I.T. department that came to the rescue. Realizing the need to help this family as soon as possible, one of our I.T. technicians secured a smart phone and downloaded a language translation app. Within minutes, just by using the phone, our staff was able to communicate with the patient’s family. Needless to say, the family was grateful. What may have seemed like an easy solution for our I.T. professional was a gesture that meant the world to a group of people in need. I’m happy to share this story because it is a great example of how Family Hospice strives to fulfill its mission of proving quality, compassionate care that enhances the lives our patients and their loved ones. Like any organization, Family Hospice has several departments, but we pride ourselves in enabling the staff to work as one to achieve the same goals. That spirit of help is evident across the board. 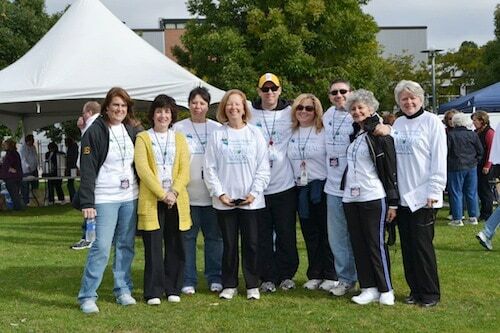 At our annual Memorial Walk, you will find nursing, human resources and community liaison staff helping set up tables, hang banners, and greet our walkers. At Camp Healing Hearts, our free day camp for grieving kids, we have staff from our social work, communications and administrative offices who volunteer to help our campers get the most from their experience. Just like the kid that asked Joe Greene if he needed any help, a helping hand can come from anywhere. When you think of hospice, it’s safe to say that I.T. is probably not the first department that comes to mind. But just like the kid that received Joe Greene’s jersey, the satisfaction we take in helping those in need comes back to us ten-fold.